Rustling up three meals every day for a hungry family can be a challenge at the best of times and when key food groups are off the menu, it can seem like a constant battle! So I thought I would share some of our regular freefrom lunches so you can get some inspiration. They are all free from milk, egg, peanut, treenuts, sesame, garlic and cod. 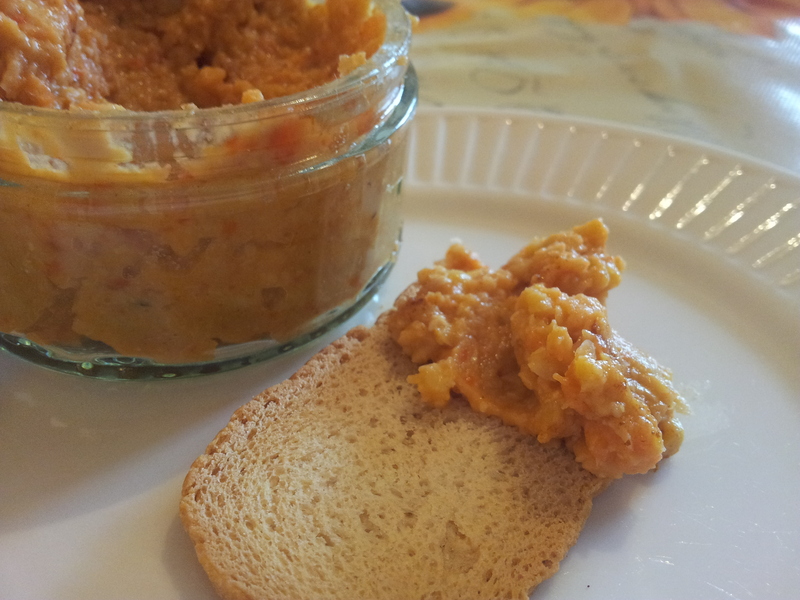 Most kids love a good dip and this hummus is sesame and garlic free and quick to whizz up. Classic, easy and full of nutrition. We use Heinz baked beans but be careful with ‘spices’ on different brands as these can contain garlic and sesame. Who says pancakes are only for breakfast?! You can just throw these together, keep the batter in the fridge for a few days and they freeze well. A toddler staple! J can’t have cod but most fishfingers are made with pollock so are fine. There is nothing quite as comforting in Winter as a baked potato. I use a glug of olive oil or some soya yogurt instead of mayonnaise. Mackarel is full of goodness and this pate is so quick to make and perfect for adults and kids alike. This has always been a favourite snack and the peanut free version is just as good. What are your favourite free from lunches? I’d love to add to my list. There’s some great ideas there. I especially like the mackeral pate recipe. Our current favourite is Japanese rice balls made from sushi rice. We only add tuna and then wrap in nori seaweed but you can add soya sauce, sushi flavouring plus most things chopped small. I like cucumber and pickled ginger in mine. They’re a great option due to being wheat free, gluten free, dairy free, soya free, everything free! We need to do more with rice I think and I love Japanese food so I’ll have to get experimenting! My toddler is allergic to milk protein too. He’s becoming more tolerant now, but we still go dairy free quite often in the recipes we share. I like the mackerel pate recipe will have to give it a try. Glad you found us. Great to hear your soon is becoming more tolerant of dairy and hope you enjoy the recipes. These look awesome, I’m definitely keeping a note for weekend lunch times! What a great list! My favourite lunch has to be soup and I have a great tomato soup recipe on my blog. The kids beg to differ though. All they want day after day are sandwiches with peanut butter or crackers with peanut butter!!! Oh well. I will keep trying to push the soup!! Ha ha, same here. I love soup but j is having none of it!